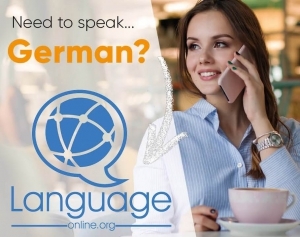 Well, as you have clicked on this article, I suppose that you are ready to study everything about a basic, essential topic in German grammar, the German nominative. Well, many of you might know this basic German pronoun, as it is quite similar to the nominative in the English language. But, of course, the German pronouns in the nominative case have different forms in German. Well, in the following, I’d like to describe the term of the German nominative and also talk about its correct usage. After that, we will talk about the two different types of German nominative pronouns, the dependent and independent possessive pronouns. In addition, I’d like to present you a list of these two types of pronouns. By the way, in case you’d like to have additional information about this German case, just have a look at this article on Wikipedia. Hopefully, it will provide you with all the background information you need. And now, let’s not lose too much time and come to the first topic of this article – the description and correct usage of the German nominative. Auf geht’s! The German nominative is the basic form of the pronoun. Furthermore, the subject of a sentece is in the nominative case. So, in order to find the subject, we can ask “Wer/Was” – “who/what” is performing this action? Have a look at the following examples to understand what I mean by the description above. Well, in the following, I’d like to name some things that you should keep in mind when using the German pronouns in the nominative case. First, the personal pronouns replace an already know or previously mentioned noun. Second, dependent possessive pronouns can come with a noun, whereas independent possessive pronouns replace a noun. Now, as we have cleared up how to use the German nominative in the correct way, let’s go into some detail and talk about the German pronouns in the nominative case. So, as already mentioned, I’d like to show you a list of the pronouns in the German nominative case. First, we will have a look at German personal pronouns and dependent possessive pronouns. By the way, the forms presented in the table are also valid for the German accusative case. Now, I’d like to present you another table which shows the independent possessive pronouns in the German nominative case. Of course, the table provides an overview of masculine, neuter, feminine and plural independent possessive pronouns in the nominative. Please, note that even though we can ask for possessive pronouns in German nominative case with the question “Whose?” we should not think that it’s going to be in the genitive. So, when questioning the case, we always have to pay attention to the noun, too.